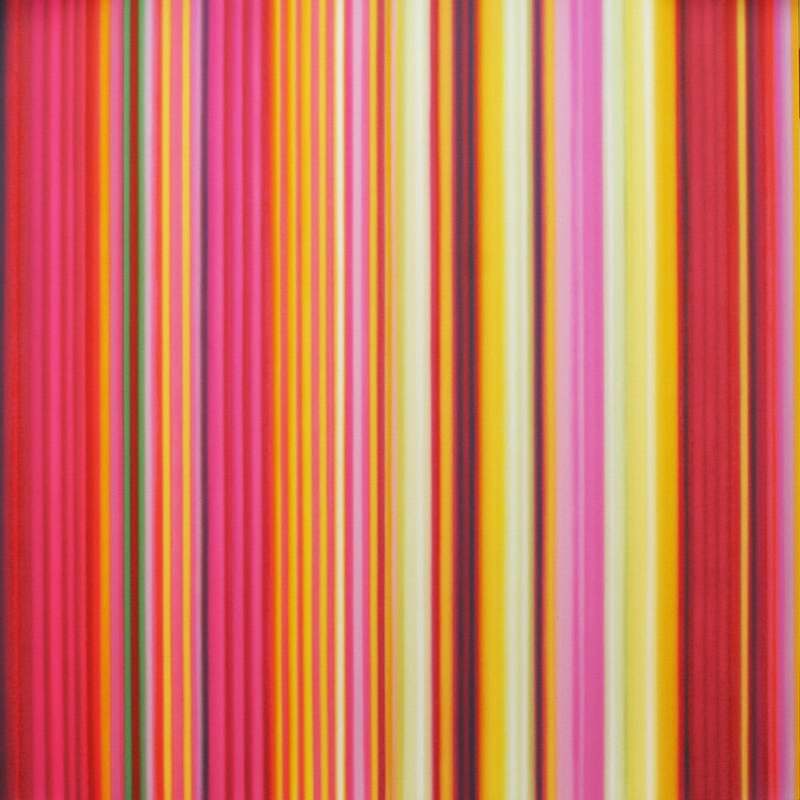 Tim Bavington (born 1966) is most well-known for composing rhythmic paintings with vertical bands of color. His works represent powerful, synesthetic combinations of light and sound. Far from simple abstraction, Bavington’s paintings engulf the viewer in a trance of color that elicits a visceral reaction. Associating each of his colors with one of the twelve notes on a musical scale, Bavington creates visual ties to the emotive power of sound. The large scale of the paintings creates an experience of music via color that unfolds over time as one intense hue blends into the next. 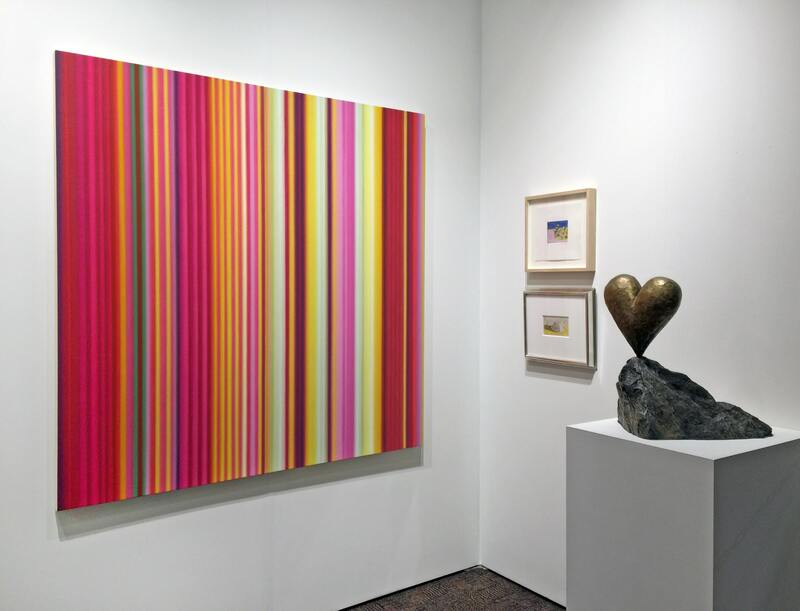 His bold, engaging, and complementing colors can be likened to the Post-War energy of rock and roll while paralleling the Op Art movement of the 1960s. Tim Bavington was born in England in 1966. He moved to the United States in 1984 to pursue his career in art. Bavington earned a bachelor’s degree at Art Center College of Design in Pasadena, California. His early post-graduate work involved comics and contributions to The Simpsonstelevision show. In 1993 he moved to Las Vegas where he met David Hickey at University of Nevada, Las Vegas. Bavington decided to continue his education at UNLV, earning a Master’s in Fine Arts in 1990.